Between 17 and 19 March we will be in the pavilion of Wines of Chile in ProWein, Düsseldorf, fair that turns 25 years. Approximately 6.800 exhibitors from all over the world Will participate in thisspecial edition and all the major wine regions are represented, grouped by country. 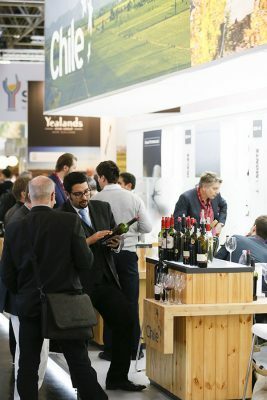 In ProWein there is room for everyone, from the main producers of wine to vines boutique, also more tan 400producers of liquor and approximately 150 brands of Champagne. We’ll launch the new harvest Ícono 2014.